A silver dish of circular saucer shape, the interior chased with a central decoration of chrysanthemum flowers, leaves and foliage, issuing from rocks, surrounded by wild waves. The decoration is repeated on the outside rim. The base is stamped twice with hallmarks in Chinese characters, Rong He. 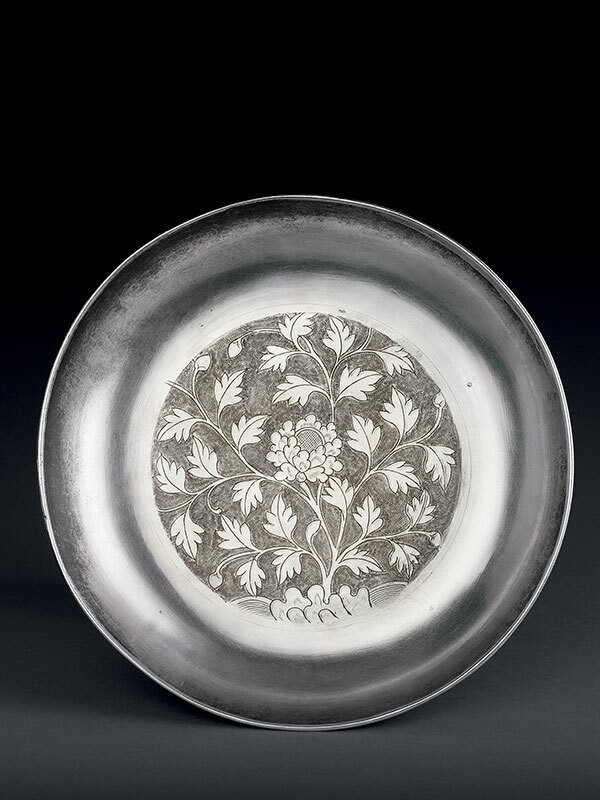 The chrysanthemum depicted in the decoration on this silver dish is an important flower in China and a symbol for longevity, because of its health-giving properties. The central chased decorative motif shows great similarities with that on a salver with openwork rim in the Chan collection. The latter dish is marked KC, an unidentified maker dated to the second or third quarter of the 19th century.